There are few healthcare topics as emotive or contentious as obesity, a condition that currently affects 24 per cent of women and 23 per cent of men in the UK and is rapidly increasing. What we eat and how we eat, what shape and weight we are, and how we view ourselves and our bodies, is the outcome of a complex web of physiological, psychological, cultural and social factors. Yet people who are fat, let alone clinically obese, are often dismissed by their leaner peers as greedy, lazy and stupid. “Eat less and move more,” they are repeatedly told. But it is not nearly as simple as that, says Professor Stephen O’Rahilly, Co-Director of the Institute of Metabolic Research, University of Cambridge, and one of the country’s leading obesity researchers. Professor O’Rahilly is a man with a mission: to share his belief that to tackle the epidemic of obesity in the developed world requires a nuanced and multi-stranded approach. He will be giving a public talk at the Cambridge Science Festival on 18 March to bring some key facts to the attention of his audience and counteract some of the prejudices that overweight people face. Flexicon Liquid Filling Systems, part of the Watson-Marlow Pumps Group, is celebrating 25 years as a manufacturer and supplier of world-class aseptic liquid filling and capping systems. Since 1986, Flexicon has provided filling solutions for the pharmaceutical, biotech and diagnostic applications. During that time, the company’s policy of development and constant product improvement has created a unique, high-quality product range, earning Flexicon its position as a leader in the world market of liquid filling and capping systems. Flexicon’s range of products – from stand-alone units for hand filling, through semi-automatic systems, to fully automatic filling, stoppering and capping machines – are designed for small- to medium-sized batch production. 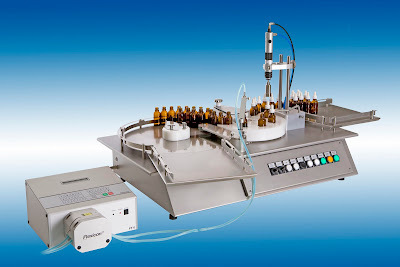 The fully automatic systems are customised to fit any container, be it a vial, bottle, test tube or non-self-standing micro-tube. In 2008, Flexicon joined Falmouth-based Watson-Marlow Pumps Group to become part of the world’s largest group of companies specialising in peristaltic filling and pumping technology. 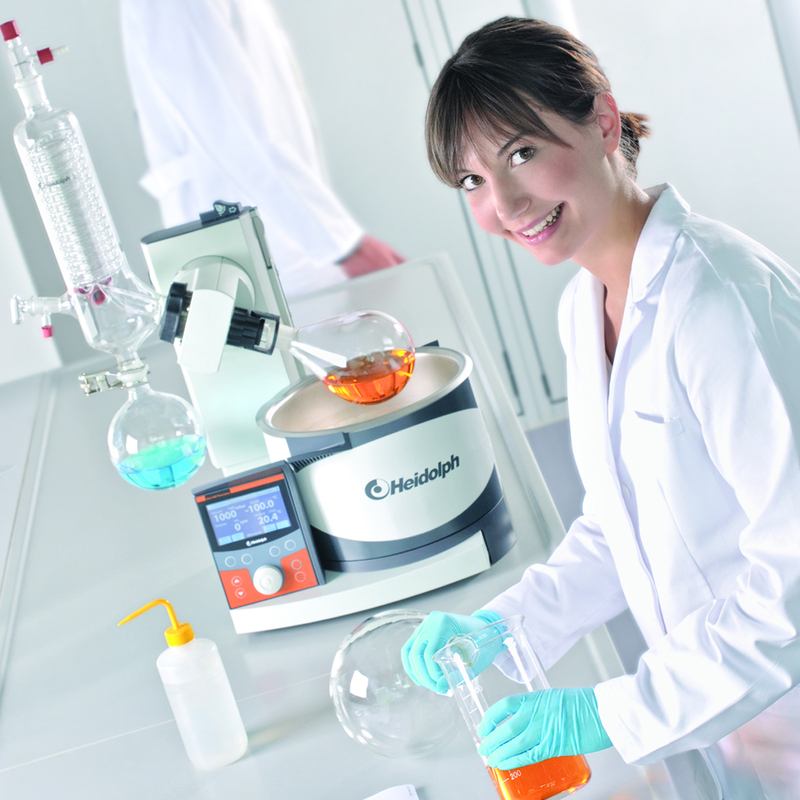 Heidolph UK has published its 2011 Heidolph Catalogue which details its full bench-top product range, including the Hei-Vap range of intelligent Rotary Evaporators and range of MR Series Stirring Hotplates. Heidolph is a manufacturer of high performance bench top rotary evaporators, hotplate stirrers, overhead stirrers, shakers, parallel synthesizers, peristaltic pumps and homogenizers. All Heidolph products offer a three year warranty as standard as well as increased safety, time saving and efficiency features. Repetitive strain injury can be a concern for regular pipette users, which is why 4titude has come up with a new innovative way to help reduce the risk. The new Ergo Plate Stand is designed to hold microplates and skirted PCR plates during pipetting sequences. What makes this so different? Well, the height and angle of the Ergo Stand can be adjusted, so whether you’re standing or sitting, you can position your plate for maximum comfort during pipetting sequences. The Ergo Plate Stand has eight spaces for 1.5ml or 2.0ml microcentrifuge tubes, which is great for pipetting master mixes into PCR plates. It is easy to adjust but is sturdy and robust for day to day use. 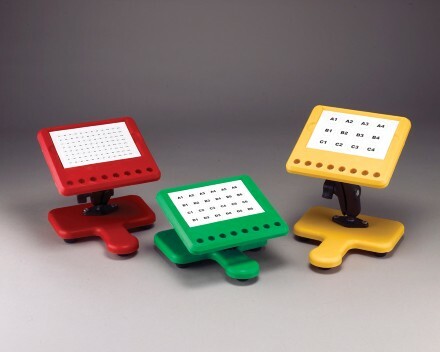 It is available in four colours (red, green, blue and yellow) for colour coding or identification of your work. 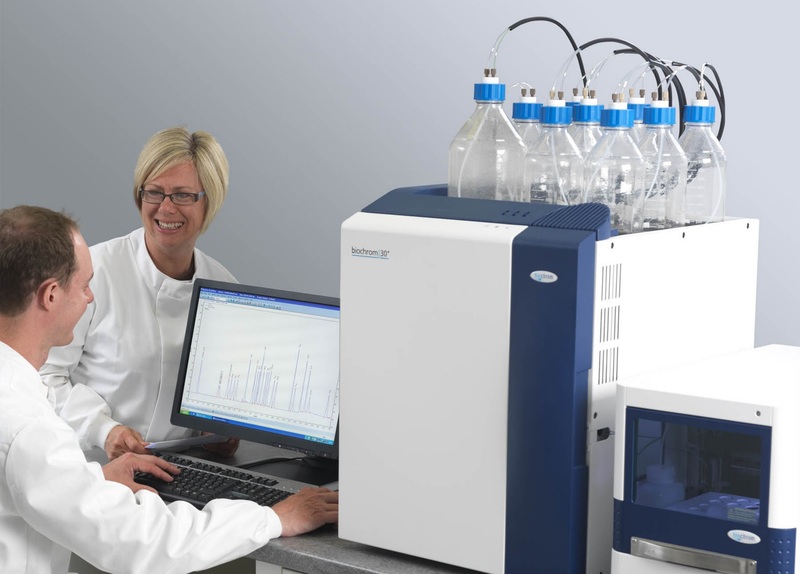 Biochrom Ltd, manufacturer of one of the world’s leading dedicated amino acid analyzer, announces the release of a new accelerated method for amino acid analysis in physiological samples such as plasma, urine and cerebrospinal fluid. Results are delivered 30% faster than the High Performance method, with a full analysis of 46 amino acids achieved in just 90 minutes. Optimum peak resolution, accuracy and sensitivity are maintained. 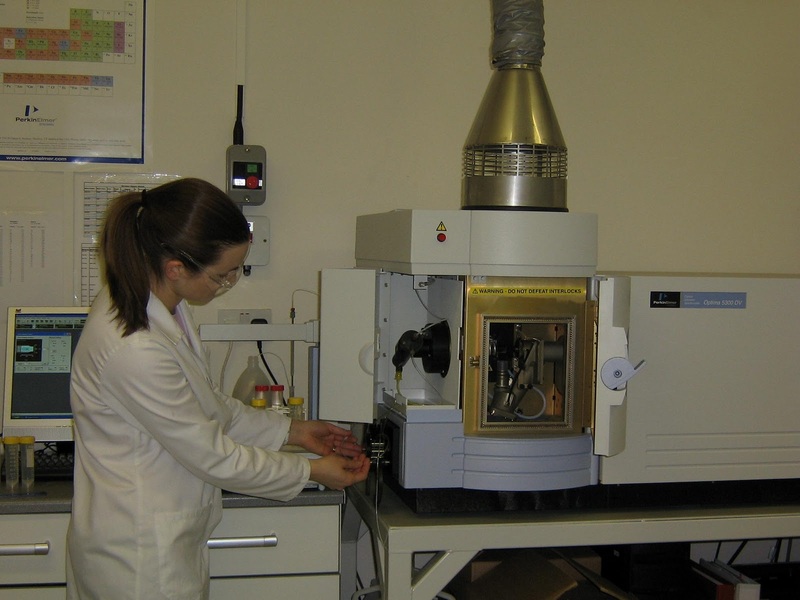 Users of the accelerated method also benefit from a 25% reduction in the cost of analysis due to lower reagent consumption. The new accelerated method is included as standard with the new Biochrom 30+ Amino Acid Analyzer, and is also compatible with the Biochrom 30 amino acid analyzer. GE Healthcare will announce preliminary data from its ongoing structural cardiomyocyte biomarker collaboration with Genentech, a member of the Roche Group. The preliminary data will be presented at the 50th Annual Meeting of The Society of Toxicology (SOT) in Washington DC, 6-10 March 2011. GE Healthcare and Genentech have been working together since September 2010 to assess and further explore the functional properties of GE Healthcare’s newly-launched Cytiva hESC-derived Cardiomyocyte toxicity assays and to identify novel cellular biomarkers for cardiotoxicity. The collaboration combines Genentech’s toxicology expertise, experience with primary cardiomyocytes, and a library of reference compounds, with GE Healthcare’s Cytiva Cardiomyocytes and its IN Cell Analyzer high-content analysis (HCA)imaging system. GE Healthcare’s Cytiva Cardiomyocytes have so far been evaluated through blind testing against 26 known compounds with preclinical and clinical cardiac discordances. 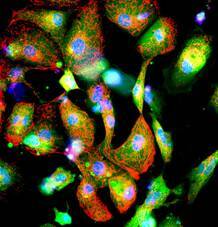 Drug-treated Cytiva cardiomyocytes were analysed using GE Healthcare’s IN Cell Analyzer 2000 HCA system using a panel of fluorescent markers to report on drug effects on a wide range of cellular parameters. Multi-parameter analysis and data profile clustering revealed a wealth of information on drug toxicity and mode of action and showed good correlation with previously reported clinical cardiotoxicity. The collaboration will be discussed at SOT by Genentech on March 6 and the preliminary data will be presented in depth by GE Healthcare on March 9. Event numbers, feedback and re-booking rates from the 2011 event in Charlotte clearly reflect the steady comeback that the biotechnology and special chemicals industries are experiencing. Informex, the meeting place for buyers and sellers of high-value chemistry for a broad range of applications, today announced that InformexUSA 2011 showed a 5% increase in attendance from 2010. The increase in attendance was complimented by a 14% jump in onsite exhibitor booking numbers for next year’s event over the re-booking during the 2010 event. These numbers reflected the market closely; companies are starting to see a steady increase in business that is facilitating a return to pre-recession numbers. Not only are re-booking levels at a record high with 241 exhibitors, but many companies that pre-registered for next year also opted to upgrade their presence for 2012; these companies include: Austin Chemical, Chiral Quest, PharmaAdvance, Rhodes Technologies, Survival Technologies, and Wockhardt Ltd.
Quotient Clinical, a strategic business unit of drug development services provider Quotient Bioresearch, today announced the completion of a major expansion of its Pharmaceutical Sciences facilities in Nottingham, UK. The GMP (Good Manufacturing Practice) manufacturing suite has doubled in size and now incorporates six independent manufacturing rooms supporting oral, inhaled and parenteral drug products. The formulation development and pharmaceutical analysis laboratory areas have also been significantly increased and now occupy an 11,000ft2 purpose-built facility. The new facilities have been inspected and approved for use by the UK regulatory authority, the Medicines and Healthcare products Regulatory Agency (MHRA), and are now fully operational. GEA Pharma Systems has recently signed an agency representation agreement with Christian Berner Tech Trade to sell its range of GEA solid dosage technologies throughout Sweden and Norway. This development adds an important sales channel for GEA Pharma Systems and is expected to have a significant positive effect on the company’s market growth in the region. Christian Berner Tech Trade is one of the leading Nordic technical trading companies involved in supplying, processing and packaging technology for the pharmaceutical and cosmetics industry. The family-owned company has been a leading European manufacturer of process equipment since 1897 and has a long relationship with the GEA Group. Frans K A Maas, Vice President Sales and Marketing for GEA Pharma Systems confirmed that the agreement was good news for his customers. “The new agreement will provide an excellent service network enabling us to react more quickly to our customers’ requirements for high quality service and supply of market leading solid dosage technology,” he said. The agreement covers the supply and servicing of granulation and drying equipment of Aeromatic-Fielder and Collette, the pelletizing and coating technologies of Aeromatic-Fielder, including NICA System and also the contained materials handling technologies of Buck. Christian Berner Tech Trade has for many years represented GEA Niro Spray dryers for pharmaceutical applications. John McKinley has joined American Peptide Company as their Senior Marketing Manager at the company’s Sunnyvale, California headquarters. He graduated from UC Berkeley with a degree in Genetics and has a background in peptide synthesis and purification. John has extensive sales and marketing experience in the pharmaceutical, biotechnology and scientific software industries. Whether high-stability deformable concrete, adjustable spectacle lenses, water purification with ultraviolet light, highly efficient biomass combustion, transmission amplifiers for optical fibre cables or methods for diagnosing Alzheimer's genes: the fifteen nominations for the European Inventor Award 2011 cover a vast span of pioneering technological solutions. Europe's most prestigious innovation prize will be awarded in five categories on 19 May in Budapest. With their talent for innovation, Europe's inventors benefit society as a whole, says European Patent Office President Benoît Battistelli. The jury's choice of the finalists promises once more much anticipation about the decision on the five prize winners. The award was launched by the European Patent Office (EPO) in 2006 with the support of the European Commission (EC). This year, the EPO, again supported by the EC, is joined by the Hungarian EU Council Presidency in the organisation of the event. Prizes in five categories - Industry, Research, Small and Medium-sized Enterprises (SMEs), Non-European countries and Lifetime achievement - will be presented at the award ceremony in Budapest. Discover how to implement a lab-wide environmental monitoring system that is fully integrated to all of your lab informatics systems. This webcast will introduce Nexxis EM (Environmental Monitoring), a Nexxis iLAB application that can collect data from ANY device measuring environmental conditions and make that data available to all of your existing informatics systems - in real time. * Collect data from all monitoring systems and instruments. * Standardize that data and store it in a single centralized database. 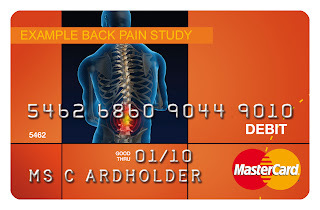 * Access the data from your LIMS. * Integrate the data into your ELN in real time. * Automate the monitoring of Stability studies. Join Labtronics on March 22nd or March 24th to discover how Nexxis EM delivers Environmental Monitoring for the Whole Lab. The educational webinar will provide an overview of the challenges and opportunities in developing novel therapeutics linked to the human TME and illustrate how the human TME impacts tumour cell biology and drug pharmacology. A number of new oncology targets have arisen through investigations into the TME associated with solid tumours and tumour stem cell characteristics. However due to the level of cancer drug attrition in the clinic, drug discovery programmes are looking to the early pre-clinical phase to optimally challenge new targets, in terms of their potential efficacy, prior to initiating a full drug discovery cascade. PF&F, the specialist British manufacturer of laboratory fume containment systems, has recently completed the production of a bespoke agar-drying cabinet for the division of Biomedical Science at the University of Bradford, UK. The recently installed system has been acclaimed by the University’s microbiology staff as an unqualified success. 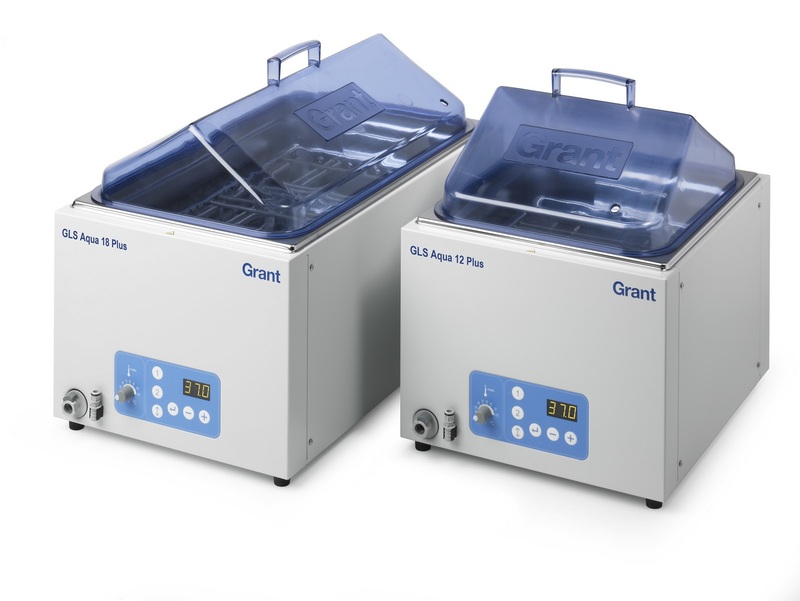 The new ADC unit is the latest addition to the PF&F product range and is designed to enable agar plates to be dried cleanly and effectively in readiness for inoculation with bacteria and other agents. 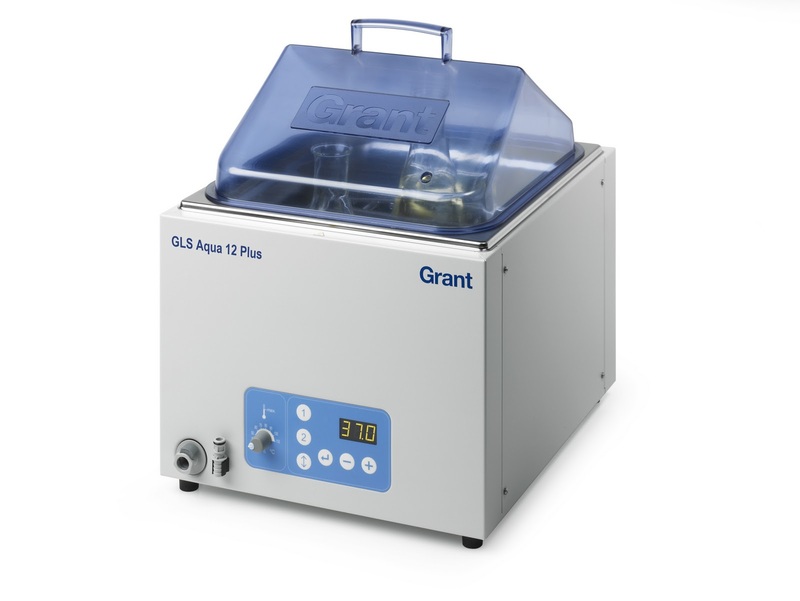 The preparation of an agar plate involves first pouring the agar and then allowing it to set. An essential part of the preparation process is then to dry the surface moisture because introducing bacteria or other materials directly onto a liquid surface would lead to their rapid and uncontrolled dispersal across the plate, rendering the production of single colonies impossible. Most agar plates can be left to dry on an ordinary work bench but certain specialist agars, including those that are mixed with temperature-sensitive materials such as blood, egg yolk and antibiotics, require refrigeration and therefore need additional help to dry. It was for this purpose that the University required the new cabinet. Randox Laboratories, the diagnostic solutions company, has launched Lab Tests Blog to provide a resource for laboratory professionals to learn more about new innovations and current, relevant research and industry news within laboratory diagnostics. The world of healthcare is so vast it can be difficult to find one place that acts as a comprehensive and reliable source of information, relating to the diagnostic field in particular. 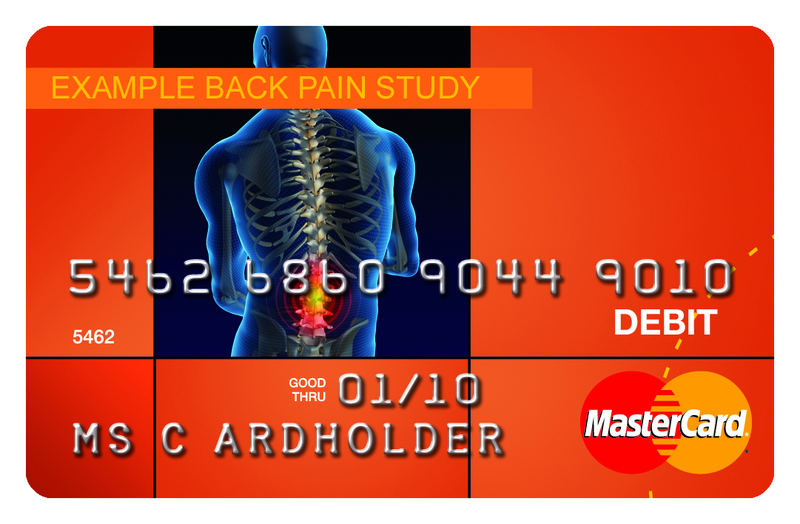 Lab Tests Blog was created to provide this source. Laboratory diagnostics is perhaps the most important element of patient assessment. Not only does it cover the diagnosis of human conditions such as diabetes, cardiovascular disease, cancer and so on, it is also of paramount importance within the fields of drug residue testing, toxicology, veterinary care and the pharmaceutical industry to name only a few. As Randox has experience in these areas, Lab Tests Blog will provide constant updates on industry news within these fields, ensuring you, the user is kept up to date within the click of a button. Randox says: "We have created an easy to use, relevant and useful source you can access without having to waste time sifting through a multitude of websites. We know how hectic the daily workload of a laboratory technician or manager can be. Lab Tests Blog provides the latest industry news, new product developments, useful tips and articles on improving laboratory efficiency, saving costs, quality control and so on, as well as interesting market news. All information we provide is from trustworthy sources, ensuring you can rely on the details." PharmaDiagnostics NV, a company developing and marketing a broadly-enabling, label-free screening technology that uniquely does not require specialized instrumentation, announces today the appointment of Dr Sylviane Boucharens as director of assay development. Sylviane joins from Merck’s MSD site in Newhouse, Scotland, where she was head of global compound repository and in vitro screening. Working closing with the PharmaDiagnostics Synthetic Nanotechnology team, Sylviane’s appointment is the latest in a series of additions to further strengthen the PharmaDiagnostics R&D team. Sylviane will play a central role in driving the growth of PharmaDiagnostics’ assay product range, and via her extensive contacts in the market, in developing business globally. She will be closely involved in the product development strategy. Automation and control systems specialists Denca Controls Ltd has been commissioned by one of the UK’s leading producers of patient care pharmaceuticals and biotechnology to supply the control systems expertise for the company’s new manufacturing facility in Liverpool, UK. The construction of the new facility is attributable to the overwhelming demand for the company’s groundbreaking dialysis substitute which facilitates a mobile alternative to traditional dialysis techniques. The chemical formula in question frees patients from the need to be connected to a dialysis machine for eight hours at a time and instead enables cleaning of the blood from the convenience of a portable bag. The £500,000 turnkey project has enabled Denca to demonstrate the full range of its expertise all the way from developing process diagrams to the design and manufacture of control panels through to software, programming, installation and commissioning. In all, five Siemens S7300 PLCs are to be networked together with MP 277 touch screen HMIs, a Profibus Remote IO installed and communication with package vendors achieved on a Profibus DP. Tighter compliance controls are an inevitable and necessary fact of life for the pharmaceuticals sector. And here Denca’s experience in the field is proving invaluable in securing the necessary validation documentation to support FDA and GAMP 5 compliance. Syngene, a manufacturer of image analysis solutions, announced a Syngene gel documentation system is being used at the Massachusetts Institute of Technology (MIT) in the USA to image gels quickly and safely. Researchers in the Department of Biological Engineering at MIT are regularly using a Syngene gel documentation system to accurately visualise, quantify and record images of DNA on 1D agarose gels fluorescently stained with SYBR Safe from Invitrogen. Interactive Medica has today announced the launch of IM Territory Planner, a Cloud-based workbench designed to help companies in the Life Sciences industry plan and manipulate territory alignments to optimise sales resource allocation and more effectively capitalise on market opportunities. The first collaborative SaaS system to help organisations map out their territories and understand their potential, Territory Planner can be configured to a business’ bespoke requirements. By uploading key business data that they want to use, companies are able to run detailed scenario analyses – and if they like what they see, it can be implemented with the click of a mouse. MSD will participate in BioForum 2011, the 10th edition of the Central European Fairs for Biotechnology and Bio-Business in Lodz. The company will also be a participant of BioPartnering, which takes place during both days of the event. MSD, known as Merck in the US and Canada, is a worldwide pharmaceutical industry leader, with approximately 94,000 employees, globally who works with customers in 140 countries. Long known for its innovative research and development, MSD provides innovative medicines and vaccines to help improve health and well-being. Researchers at the University of Michigan Comprehensive Cancer Center have identified a potential target to treat an aggressive type of prostate cancer. The target, a gene called SPINK1, could be to prostate cancer what HER2 has become for breast cancer. “Since SPINK1 can be made on the surface of cells, it attracted our attention as a therapeutic target. Here we show that a ‘blocking’ antibody to SPINK1 could slow the growth of prostate tumours in mice that were positive for the SPINK protein,” says study author Arul Chinnaiyan, MD, PhD, director of the Michigan Center for Translational Pathology and a Howard Hughes Medical Institute Investigator. Recent research suggests vitamin D may be able to stop or prevent cancer. Now, a new study finds an enzyme that plays a role in metabolizing vitamin D can predict lung cancer survival. DIA and FDA will host the DIA/FDA Quantitative Structure-activity Relationship (Q)SAR Approaches to Assessing Genotoxic Impurities in Pharmaceuticals Conference on April 7, 2011 in Rockville, MD, USA. * Strategies for Classifying and Controlling Potentially Genotoxic Impurities in the Pharmaceutical Industry. * Regulatory Perspectives: FDA, EU, and Japan. * What Current (Q)SAR Computational Models Can Tell Us about Ames. Predictivity. * Industry Use of (Q)SAR: Overview and Case Studies. * Integration of (Q)SAR into Hazard Identification: Role of ICH. Since 1976, Dr Jacobson-Kram has published more than 80 abstracts, 60 peer-reviewed articles, and 30 review articles or book chapters. The majority of these publications deal which methods and issues in genetic and molecular toxicology. DIAceive future communications from Drug Information Association, let us know by clicking here. Toray has today announced the European release of its 3D-Gene products, a range of three dimensional DNA chips for use in microarray analysis. 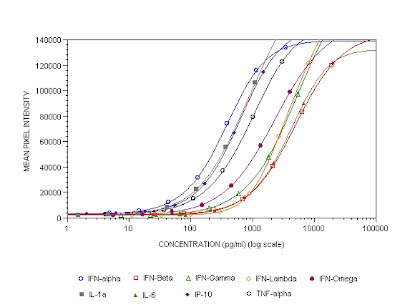 The new microarrays utilise several unique features to enhance assay sensitivity, providing the perfect platform for working with low abundance targets such as microRNAs, or troublesome samples such as formalin-fixed paraffin embedded (FFPE) tissue specimens. In a new approach pioneered by Toray, each chip is composed of a black resin that reduces background fluorescence, while probes are attached to three dimensional microcolumns on the surface. In combination, these factors precisely define the spot morphology. The columns are also surrounded by microbeads that are encapsulated on the chip and can be agitated to ensure homogenous sample distribution during the hybridisation process. These properties maximise signal-to-noise ratio and increase accuracy, reproducibility and sensitivity. Importantly, the chips are compatible with current array scanning methods so that no specialised infrastructure is required to utilise the system. Riemser Arzneimittel AG and Belgian company Ecuphar NV have announced that they have agreed on the sale of a large part of the veterinary business of Riemser to Ecuphar. The sale should take place during the first quarter of 2011. As part of its further strategic development as a specialty pharmaceutical supplier, Riemser Arzneimittel AG will be selling a large part of both its veterinary product portfolio and its marketing and sales unit, to Ecuphar. The research and development and production divisions, as well as the Riemser swine flu will remain at Riemser. This acquisition will grant the Belgian company Ecuphar, which is specialised in veterinary medicine, direct access to the German veterinary market, an important factor in its European expansion strategy. In the future, Ecuphar will operate in Germany under the name of Ecuphar GmbH. The Company will be located in Greifswald, Germany. The Clinical and Laboratory Standards Institute (CLSI) and The Joint Commission recently announced the educational webinar, "Transfusion Safety Enhancement: Six Years of Experience With Bar Code Scanning," taking place on Thursday, March 24, 2011, from 1:00-2:30 PM Eastern (US) Time. This webinar will describe the development and implementation of a comprehensive computerized bar code-based tracking system aimed at ensuring proper identification of patients, transfusion testing samples, and transfused blood products. Six years of continuous hospital-wide experience strongly suggests that this system has significantly enhanced transfusion safety and that it may represent a prototype for the future. Thermo Fisher Scientific Inc today announced that it will exhibit its Maybridge Fragment collections and present a related scientific poster, “A High Throughput Technique for Rapid Measurement of Fragment Solubility,” during Fragments III, the 3rd annual RSC-BMCS Fragment-Based Drug Discovery conference (Stevenage, England, March 7-8). 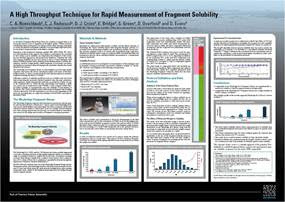 The poster describes the use of the Stem Clarity solubility station to experimentally validate fragment solubility values in both DMSO (200mM) and aqueous phosphate buffer. Such analyses have been used to affirm compound quality and further enhance the success rate of hits generated by the Maybridge Ro3 Fragment collection. Scientists from Maybridge will be available on stand E at the Stevenage Fragments III meeting to discuss the work presented on the poster and other aspects of fragment-based drug discovery. Maybridge compound libraries represent a gold standard in molecular fragment libraries and include the Ro3 Diversity library, Fragment collection, Bromo-, Fluoro- and Pre-Fragment collections. Maybridge prides itself on having the in-house scientific expertise to provide the highest-quality products and services for fragment-based drug-discovery needs. For more information on the poster please visit: www.maybridge.com/Images/pdfs/MB_poster_GlobalC_09_V02.pdf. Agilent Technologies Inctoday announced that a recent independent survey once again named Agilent as the preferred partner for laboratories that must measure up to regulatory and quality standards. More than 350 survey respondents in North America and Europe ranked Agilent Compliance Services as their top choice for general laboratory compliance services and instrument qualification. Agilent has consistently held this position every year the independent survey has been conducted since 1995, during which it has made more than 100,000 successful qualification deliveries. Qualification of laboratory instrumentation is an integral part of compliance with regulatory and quality standards such as Good Manufacturing Practice, Good Laboratory Practice, ISO17025, and United States Pharmacopeia. Labtronics Inc, a leader in laboratory automation, has released of Nexxis Portal, as part of Nexxis iLAB 5.05. This provides centralized web-based portal to access every informatics system in the lab.The Nexxis Portal provides this type of functionality. From a single browser screen you are able to view data from any instrument, select samples from your LIMS, check training records for an individual, and report from your ELN. The Nexxis Portal connects the user to other systems and makes them easily available from a central location. It integrates with any LIMS, SDMS, instrument or software system. From a central location you are able to create reports from any database in the lab. Investigations and review of results is much faster when you can access all of your data from a central location. Each application will open in its own window so that analysts can work on several systems at the same time. This makes it easy to move data from one system to another, or to review data from several systems at the same time. For example you can open an ELN and while working on an analysis you can check the MSDS for a chemical that is located in your SDMS. Robert Pavlis, President of Labtronics commented "Labtronics is the leader in providing black box integration solutions and now with the release of Nexxis Portal we are also leading the way to providing a simple integration solution that connects every system in the lab." The University of Notre Dame has added Caretream’s Albira system to its In Vivo Imaging Core, part of the Notre Dame Integrated Imaging Facility (NDIIF). With the addition of PET, SPECT, and CT capabilities, the NDIIF will now better serve the imaging research needs of faculty from the departments of Biology, Engineering, Physics, and Chemistry and Biochemistry. The Albira system will immediately enable NDIIF to support researchers studying oncology, cardiovascular, pulmonary, and neurodegenerative disease. Biocitech SAS, the Paris life science technology park, today announced that its 25 resident companies applied for a bumper number of patents with a nearly 70 per cent leap to 147 in 2010. This represents an almost five-fold increase in patent applications since 2007 (when there were 30) and compares with 86 in 2009. This rise is an encouraging sign of just how innovative Biocitech companies are. Patent applications are a key marker for the health of a life science company as they indicate innovation progress and the protection of its intellectual property. They show the potential for new therapies for patients and for future revenues for the company through the exploitation of these patents either directly or through sale or partnerships. Cytheris SA, a clinical stage biopharmaceutical company focused on research and development of new therapies for immune modulation, today announced results of a multi-center Phase IIa study designed to investigate the potential of Interleukin-7 (CYT107) therapy to reconstitute CD4 T-cells in chronically HIV-1 infected patients whose CD4 T-cell counts remained low despite treatment with anti-retroviral-therapies (HAART). In addition to providing further evidence of the ability of IL-7 to stimulate the expansion of CD4 and CD8 T-cells in peripheral blood, the results demonstrate the importance of IL-7 in stimulating T-cell repopulation of the lymphoid tissue layer in the mucous membrane of the GI tract. This effect, previously demonstrated in SIV infected monkeys, is now confirmed by analysis of rectosigmoid biopsies in this study of HIV infected patients defined as Immunological Non-Responders (INR). The analysis of these mucosal gut biopsies shows a 3.93-fold increase in CD4 T-cell counts following IL-7 treatment. The data were presented at the 2011 Conference on Retroviruses and Opportunistic Infections (CROI) held in Boston, February 27–March 2. A recent study demonstrated that Cellastim (recombinant human albumin) and Optiferrin (recombinant human transferrin) deliver superior xeno-free and animal-free solutions for primary cell and stem cell expansion media. The study revealed that the combination of Cellastim and Optiferrin delivered a 250-300% increase in performance over the best animal-derived combination. These research findings were presented at the Stem Cells & Regenerative Medicine World Congress, January 2011 poster session. By mimicking the structure of the silk moth’s antenna, University of Michigan engineering researchers have built a better nanopore - a tiny tunnel-shaped tool that could advance understanding of a class of neurodegenerative diseases that includes Alzheimer’s. A paper on their work is newly published online in Nature Nanotechnology. Nanopores - essentially holes drilled in a silicon chip - are miniscule measurement devices that enable the study of single molecules or proteins. Even today’s best nanopores clog easily, so the technology hasn’t been widely adopted in the lab. Improved versions are expected to be major boons for faster, cheaper DNA sequencing. immatics biotechnologies GmbH, a late-stage biopharmaceutical company developing therapeutic vaccines that are active against cancer, has announced the appointment of Dr Harald F Stock to the board of directors, effective February 2011. Harald Stock has been Chief Executive Officer of the Grünenthal Group since January 2009. Previously, he was Chairman and Managing Director of the German DePuy Group, the orthopeadics division of Johnson & Johnson, from 2006 to the end of 2008. Between April and December 2008, he also represented Johnson & Johnson on the Board of BVMed, the German Medical Technology Industry Association. Scientists have found a genetic test that predicts whether bone marrow cancer treatments including thalidomide are likely to give patients a debilitating side-effect. The study led by The Institute of Cancer Research (ICR) is published today in the Journal of Clinical Oncology. Around 4,000 British people are diagnosed each year with multiple myeloma, an aggressive cancer that affects a type of white blood cell in the bone marrow called plasma cells. Average survival after diagnosis is just three to five years, despite patients receiving intensive treatment with a combination of drugs. All common treatment regimens for multiple myeloma also contain at least one drug with the side-effect of peripheral neuropathy – a disorder of the nervous system that can cause altered sensation, tingling, numbness and severe pain. AnaSpec, Eurogentec Group is pleased to be the first in the industry to establish a new product line of zebrafish specific (Z-Fish) antibodies to support the increasing needs of researchers. In collaboration with the University of Utah, Salt Lake City, Utah, AnaSpec's Z-Fish polyclonal anti-lysozyme was found to completely overlap with mpo: GFP labeled neutrophils. This indicates that lysozyme is a neutrophil marker in zebrafish. Lysozyme C (lyz), a cationic glycoside hydrolase, breaks down N-acetyl muramic b-1, 4 N-acetyl glucosamine linkages in the bacterial cell wall1-2. In zebrafish, this enzyme is expressed exclusively in myeloid cells2 and is used for hematopoietic developmental studies in zebrafish. This antibody was raised using a synthetic peptide derived from the intermediate region of zebrafish lysozyme protein (GenBank accession # NP_631919.1). AnaSpec's expanding list of Z-Fish antibodies includes targets used in transcriptional regulation, signal transduction, apoptosis and autophagy, cell cycle control, cytoskeleton, glucose and energy metabolism, and immunity research. 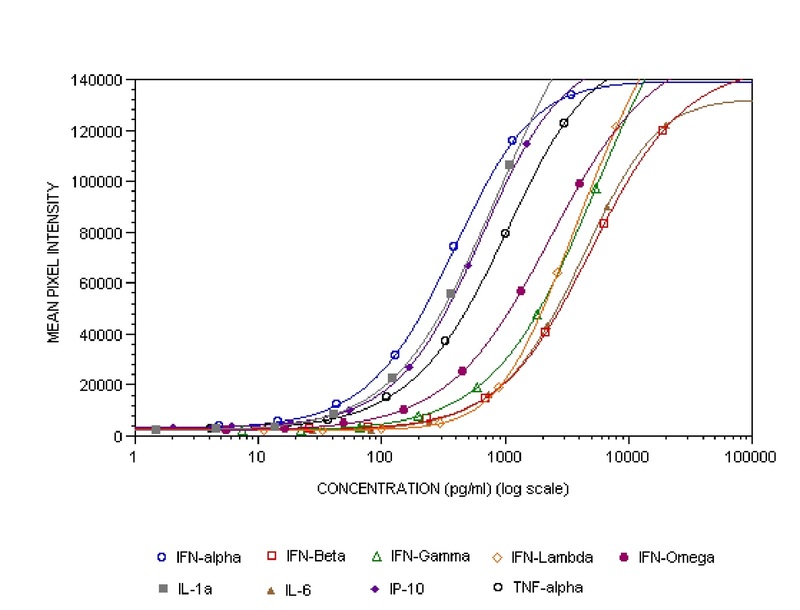 Antibodies were verified in ELISA. Many were verified in western blots using zebrafish lysates. As well, these Z-Fish antibodies are predicted to work in IHC, many of which have good IHC results. Antibodies are supplied in 150 ul size, this amount is enough for 15 mini gels. 1. Gordon, S. et al. J Exp Med 139(5), 1228 (1974). 2. Kitaguchi, T. et al. Mech Dev 126, 314 (2009). Porvair Filtration Group has announced that its range of absolute rate filters have been tested for and meet United States Pharmacopeia 788 as well as Federal Drug Administration Title 21, Section 211.72 regulations. These regulations detail how filters for liquid filtration used in the manufacture, processing, or packing of injectable drug products intended for human use must not release fibres into such products. Unlike some lower cost alternatives this means that Porvair Filtration Group filters have been tested to be safe for the filtration of injectable drug products. Filtration and separation processes in the pharmaceutical industry are critical, not only to ensure products are adequately purified and fit for consumption, but also to optimise process economics and prevent loss of valuable product. Manufacturing of the high performance cost effective products is underpinned by Porvair's strict quality assurance programme, cGMP practices and clean room environment to ensure products meet the stringent requirements of the Pharmaceutical, Generics and Veterinary Medicines industry. 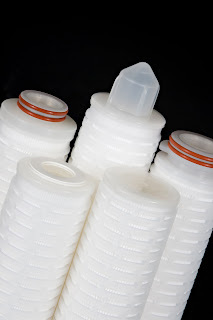 Porvair Filtration Group polymeric cartridge filters are constructed from FDA-approved materials carrying the CFR 21 number for biological safety and materials of construction meet USP Class VI-121°C plastics. Designed and manufactured for robustness, our sterilising grade polymeric filters are fully validated providing retention of >10,000,000 colony forming units per square centimetre of effective filtration area as stipulated by PDA Technical Report 26. The Austrian research institute AIT Austrian Institute of Technology has in cooperation with German industrial partner IEM. developed a 24-hour device to measure blood pressure that basically provides a more-exact diagnosis of high blood pressure than previous blood-pressure measurement devices. Hundreds of the devices are already in daily use and give general practitioners as well as institutes significant advantages in the early detection of cardiovascular illnesses. AFFiRiS AG announced today significant progress in their collaboration with GlaxoSmithKline Biologicals (GSK) for the development of an active vaccination programme against Alzheimer´s disease. While the lead vaccine candidate AD02 is currently in phase II clinical testing, two additional preclinical programmes have been completed successfully. The second programme was related to alternative vaccine candidates generated by AFFiRiS´ AFFITOME technology, including candidate AD03. Based on the promising preliminary results of this programme, GSK exercised its option for the alternative vaccine candidates which triggered a EUR2.5 million payment to AFFiRiS. An additional EUR 1 million payment became due simultaneously for the successful completion of tests of alternative vaccine formulations. 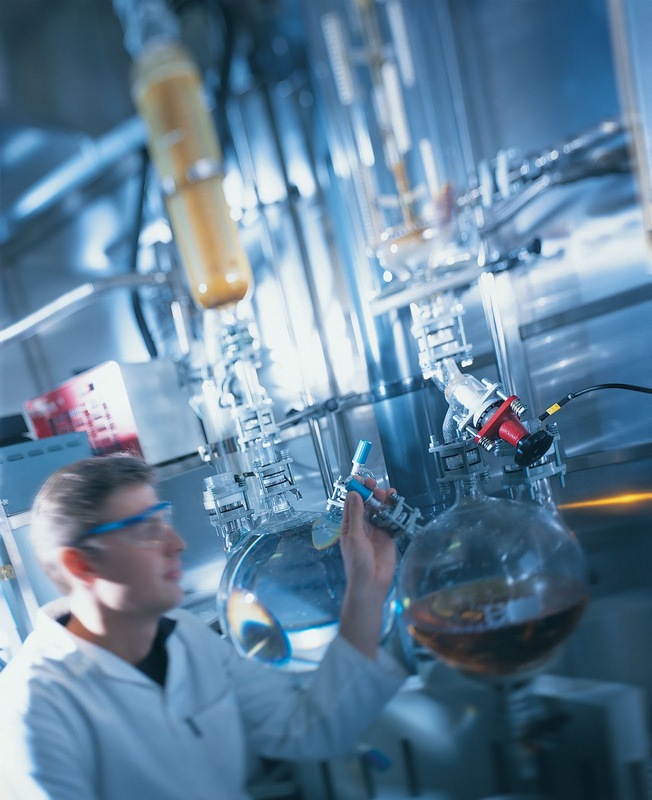 NovAlix today announces that it has entered into a multi-year research services agreement for chemistry with Janssen-Cilag, France, to support its drug discovery efforts. Under the terms, NovAliX scientists will provide distant as well on-site chemistry support, optimally exploiting strong organic synthetic expertise and unique biophysical capabilities, to accelerate the drug discovery process. In addition the operational excellence of NovAliX allows to explore a complete new model by which the respective scientists work side by side for greater efficiency and scientific exchange and therefore promoting the concept of Open Innovation. Stephan Jenn, president of NovAliX, said "he welcomes this significant chemistry discovery deal that acknowledges the quality of our science, technologies and organization".